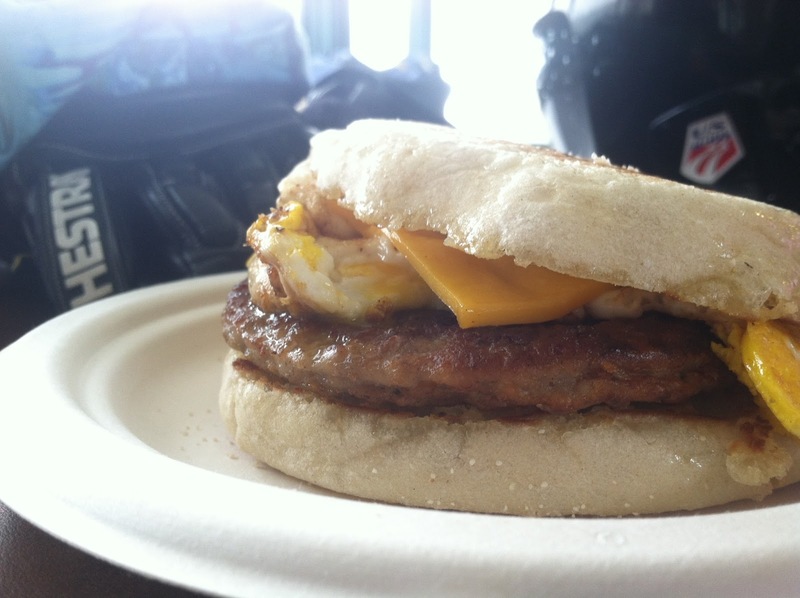 A breakfast sandwich submission from Alice Ritchey! Who is my new favorite. I hope breakfast sandwich submissions start pouring in. And this just turns into a world class breakfast sandwich blog. Everyone forgets about the ski racing component. I have an IPO and turn into a billionaire breakfast blogger. It starts here, folks. It starts here. It looks like that breakfast sandwich is piping hot and fresh! It's probably the only thing in Lake Placid not from 1980.